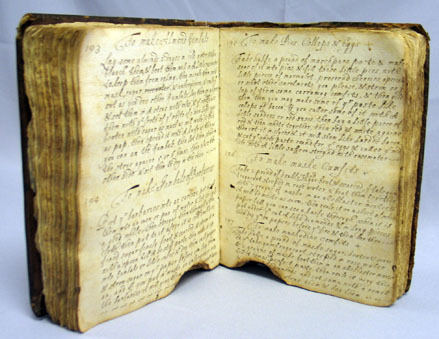 On Friday, April 12, food historian Stephen Schmidt will present a program on “What Are Manuscript Cookbooks, and What Can They Tell Us About Historical American Cooking?” The program, sponsored by the Mansfield Historical Society, will be held at the Buchanan Auditorium at the Mansfield Public Library (54 Warrenville Road, Mansfield Center) at 7:30 p.m. General admission is $3.00; free admission for MHS members and children under 16. 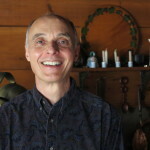 Stephen Schmidt is the principal researcher and writer for The Manuscript Cookbooks Survey. This foundation-supported Web project features an online database of pre-1865 English-language manuscript cookbooks held in U. S. public repositories. He will give us a sense of the nature of these fascinating documents, some of which originated in manors and plantations and others in more ordinary households. His presentation will discuss what these personal recipe collections tell us about historical American cooking. Mr. Schimdt has contributed articles on historical Anglo-American cooking to many books, speaks often on the subject, and is currently a consulting scholar to the Folger Shakespeare Library’s Before ‘Farm to Table’ project. In his past life, he taught cooking, tested and developed recipes, and edited cookbooks. Occasionally he still does. He is the author of Master Recipes, a general-purpose cookbook, was a principal contributor to the 1997 and 2006 editions of Joy of Cooking, and wrote frequently for Cook’s Illustrated magazine in the 1990s. Stephen grew up in Mansfield and is the son of Sally Hirakis. Stephen Schmidt has provided us with several pre-1865 recipes. We would love to have some samples to taste at the April 12 meeting. Are you brave enough to try a historic recipe? If so, please contact the museum and we will send you the recipes to choose from.